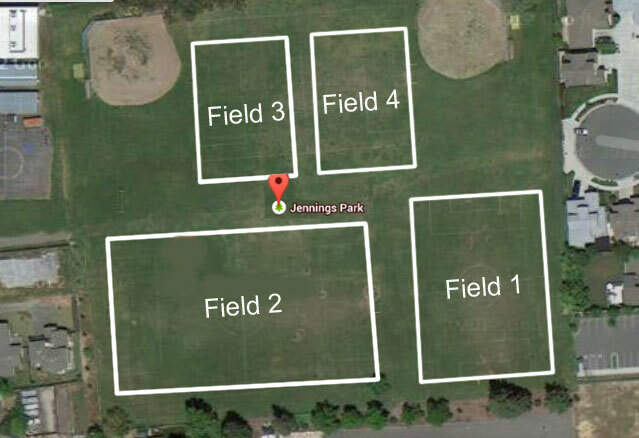 Jennings Park is best entered via Clover Drive, Behind G&G Market, 1211 W College Ave, Santa Rosa, CA 95401. Please park in the Southeast Corner in the designated parking and overflow areas. Please stay clear of the delivery trucks, ramps and other parking and turn-around areas used by G&G Market.